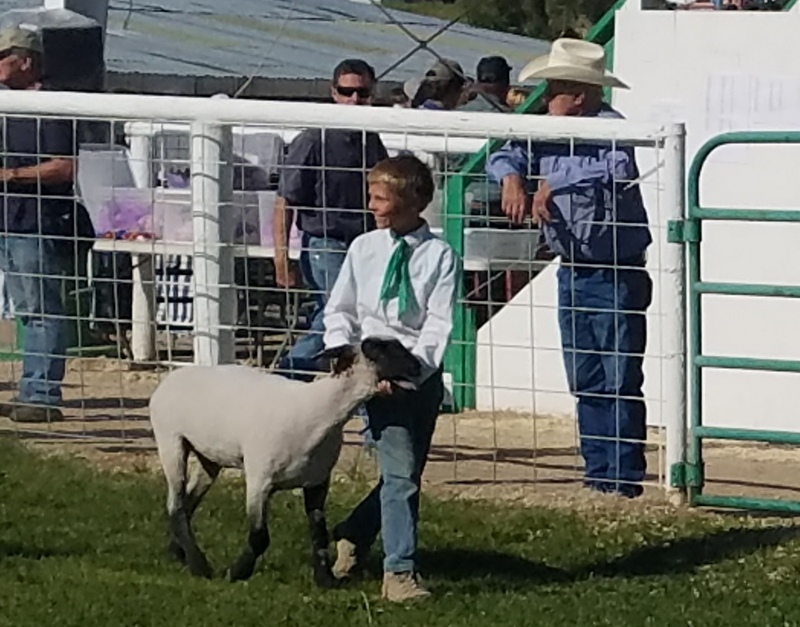 Desert Boy decided to raise a lamb for 4-H again this year. At the conclusion of the fair last year, he was decidedly against it, but he changed his mind. The second year was definitely easier, as we knew some of what to expect. 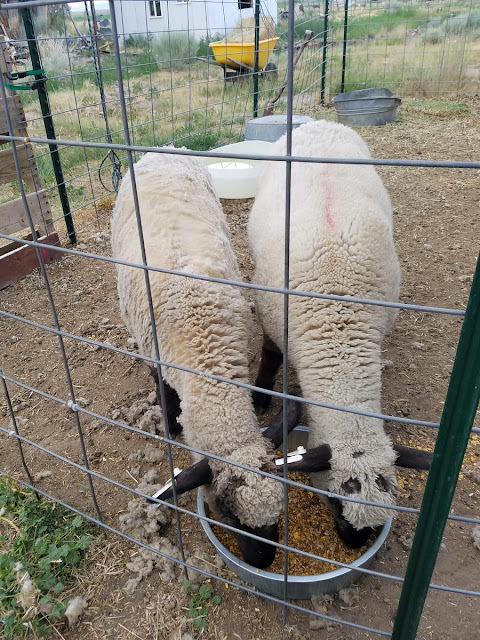 Sheep are social animals, so we bought two so they could keep each other company. One of our big changes from last year was a different feed. Last year we started them on the feed the buyer recommended, but then we couldn't find it again within a three-hour drive, and the sheep didn't like the substitute feed and didn't eat for awhile. 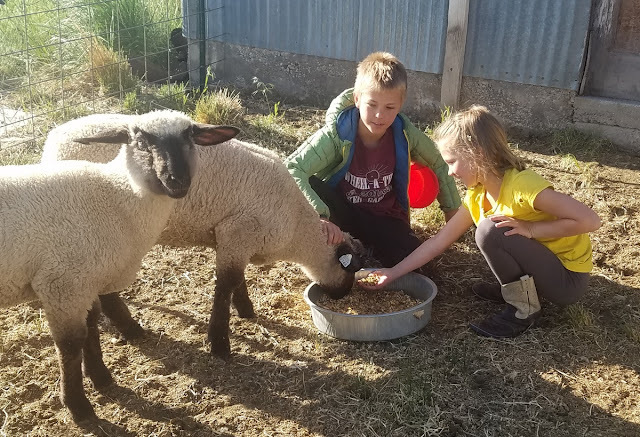 This year we just started them off with IFA Show Lamb feed, and they liked it fine (except for the cottonseed part, that was always the last part they ate). 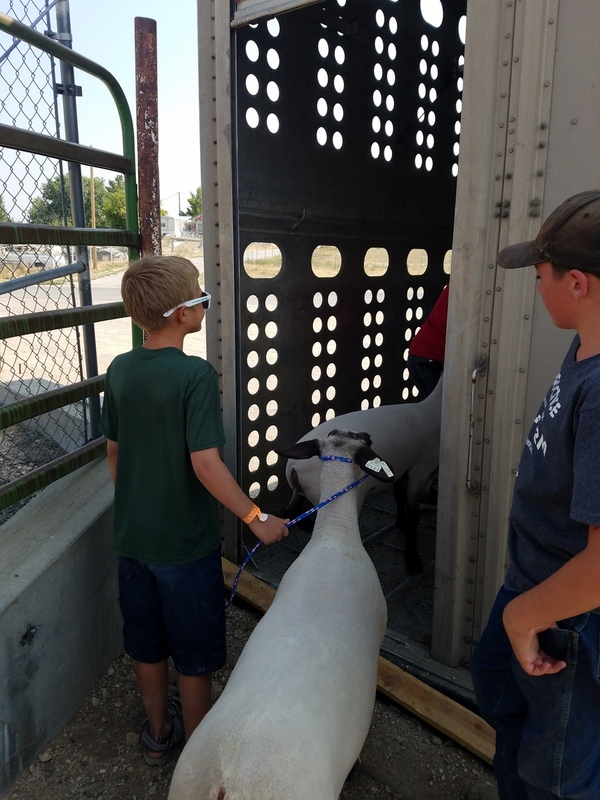 We were able to get IFA Show Lamb feed at both the Delta and Ely IFA stores, which made it very convenient. The lambs grew quickly. We've learned it's best not to give them names, so we just called them 141 and 144, the numbers on their ear tags. 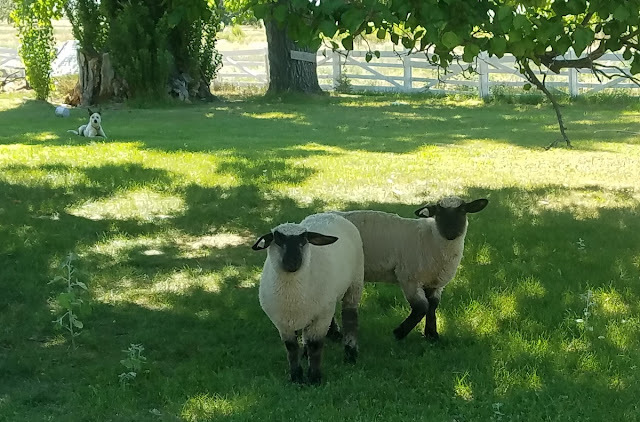 We let them do a lot of browsing in the yard. They loved that. 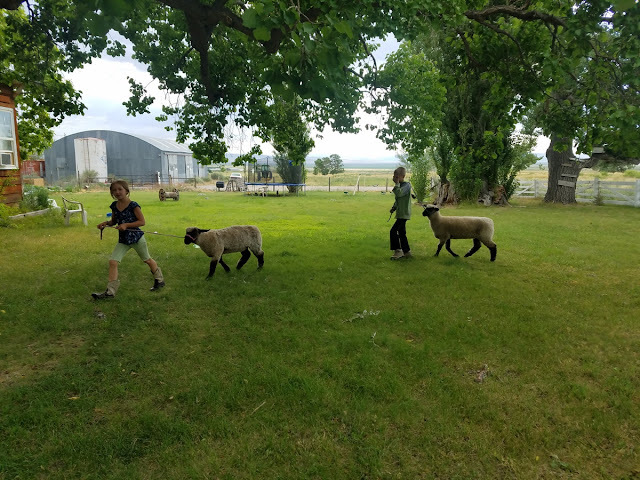 The kids walked them every day to try and get them tamer. 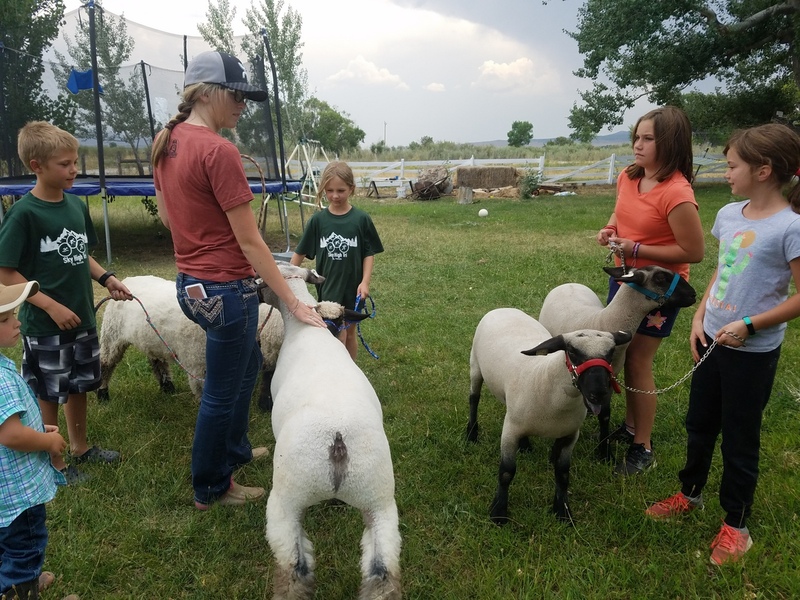 They walked well on a halter, but did not mind well when the kids held onto their heads. I did a quick first shear, which was a lot harder than I thought, than my husband did a second shear. That helped them keep cooler in the summer. They always look quite a bit different without their big coats on! 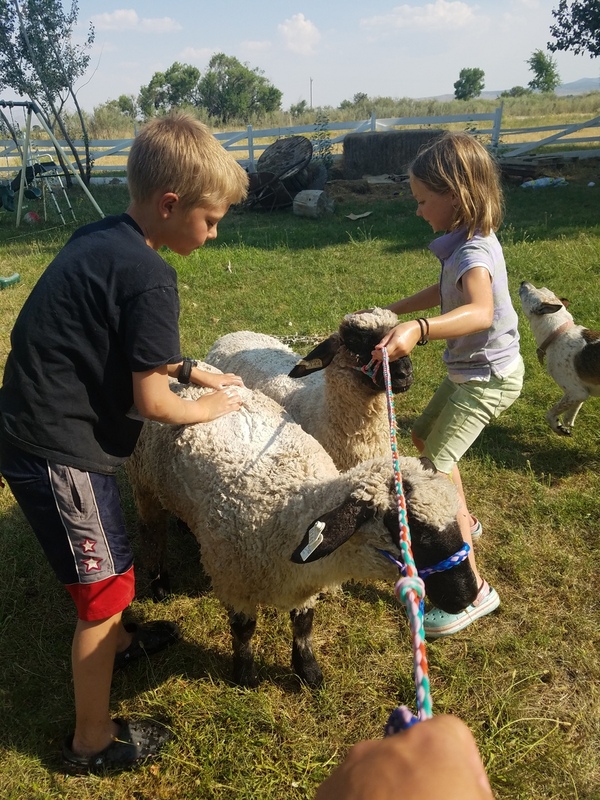 Here the kids are washing the sheep. 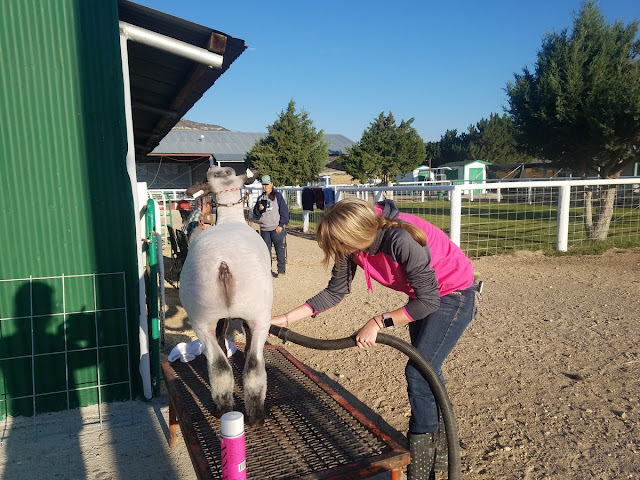 What do you wash a sheep with? Why, Woolite, of course! 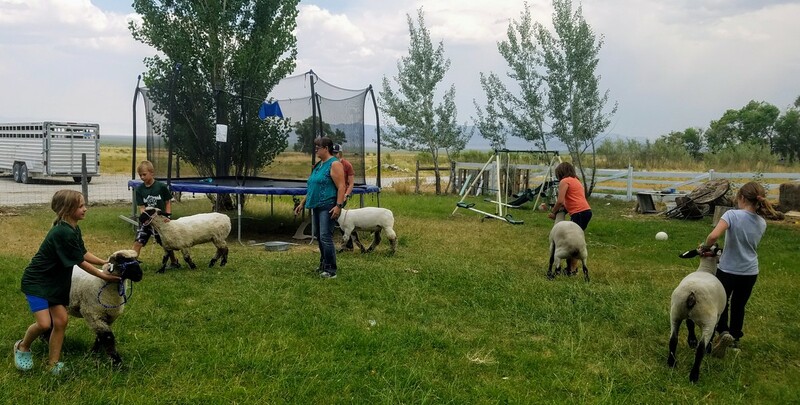 We had a sheep showmanship clinic in our yard with some of the other 4-H participants. 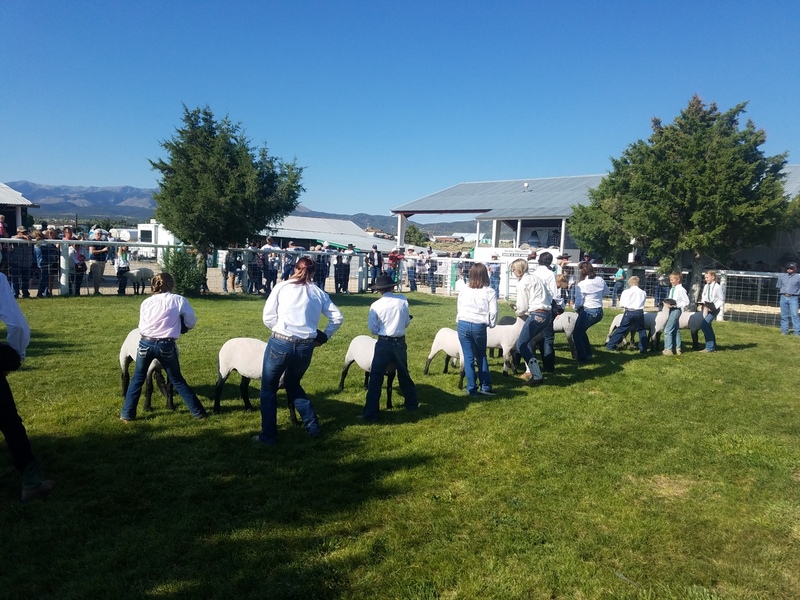 It was great to get all the sheep together. Gwendy had them go around in a circle. And then line up for "judging." All the sheep looked good. 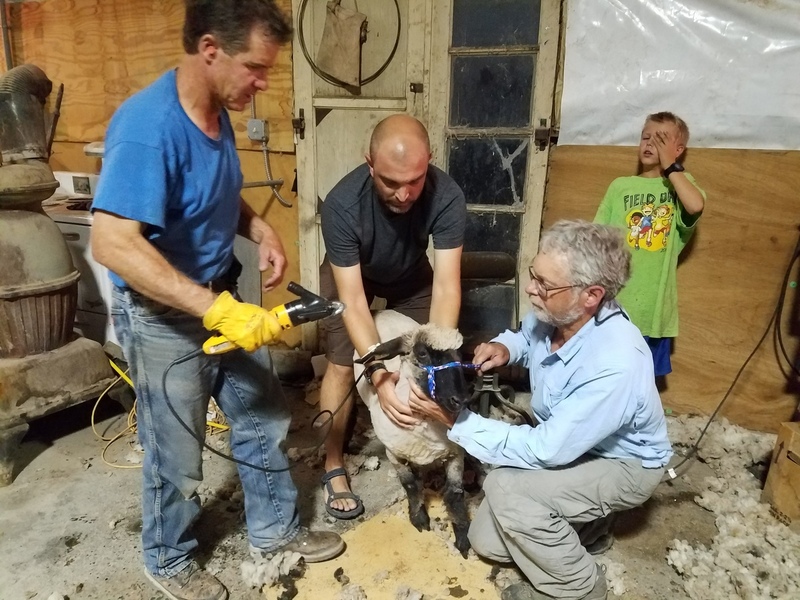 We still had the final shear to go. It turned out to be rainy, so we had to go into the shop. 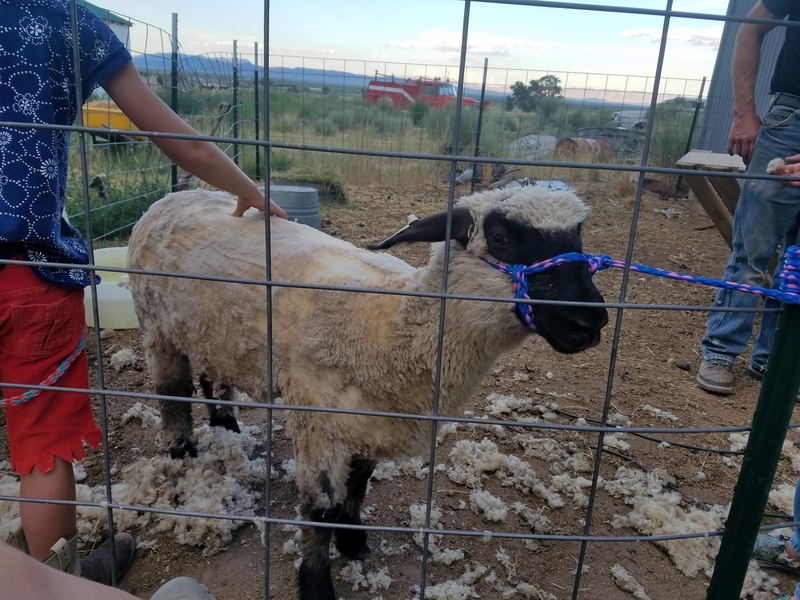 Desert Boy sheared most of his sheep. It's hard work, so it was nice to have a bunch of helping hands. 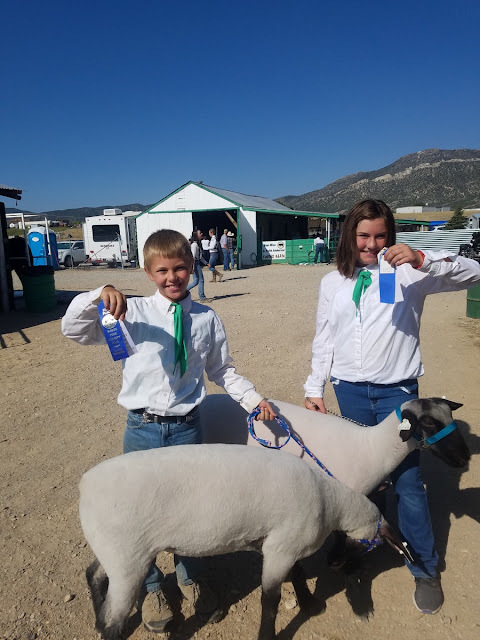 Then we headed to the fair. Desert Girl didn't really enjoy the showmanship clinic there. She's still too young to show her sheep for 4-H as a market animal, but she could show the alternate in Cloverbud Showmanship and as an open class animal. Melanie's an expert and had her sheep in tip-top shape. Then it was time for the competition. First came the market class competition. 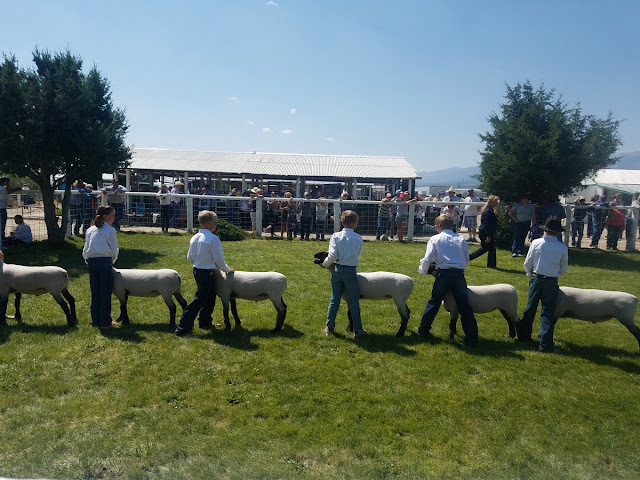 Desert Boy's sheep weighed in at 140 pounds, the maximum allowed for the competition. 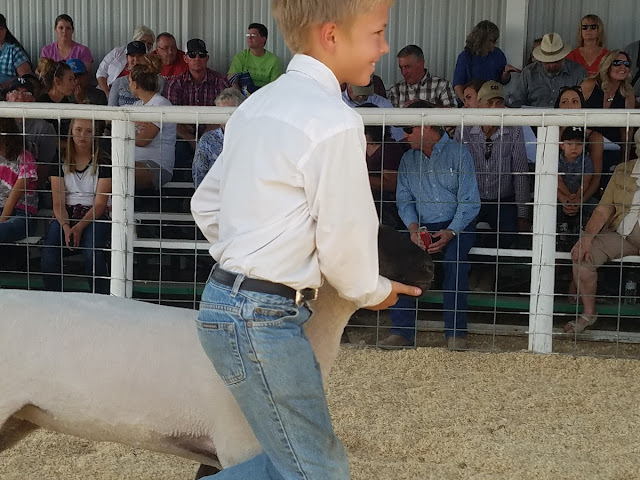 Last year his was 101 pounds, so we did a much better job this year at feeding! 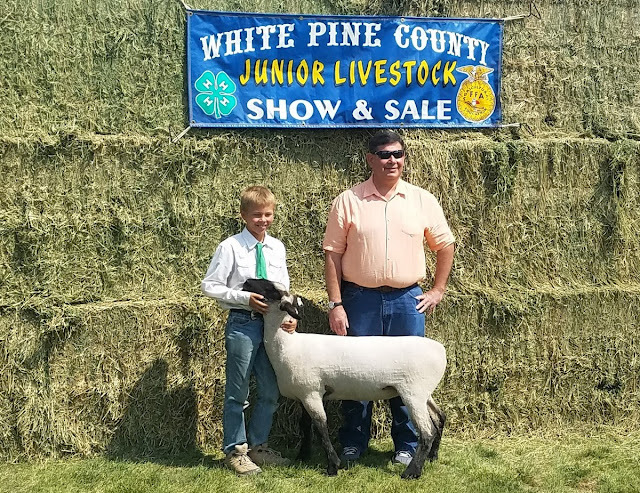 It took a while to get the sheep judged. 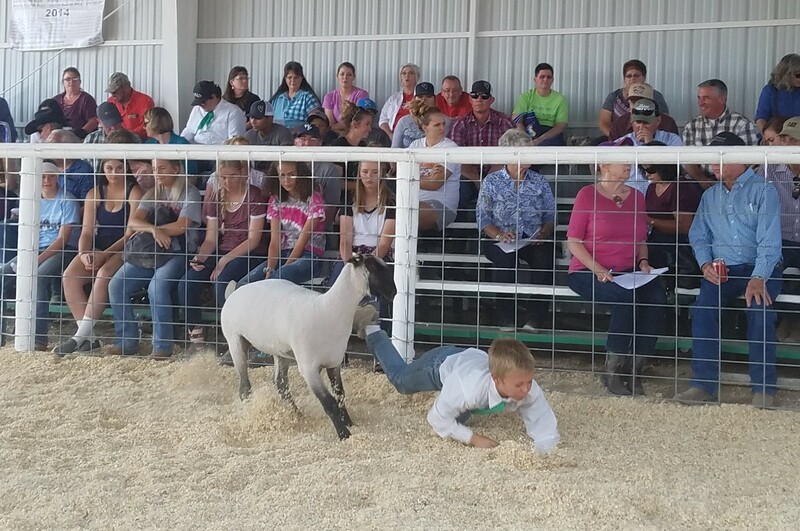 Next came showmanship, and unfortunately Desert Boy's sheep didn't cooperate. Neither did Desert Girl's. She was in tears. We took a break, went and ate, got a quick swim in at the nearby hotel pool, then returned. She was in time for showing her lamb in open class and got Reserve Grand Champion. That made all the tears go away and a big smile come out! The next morning was the sale. 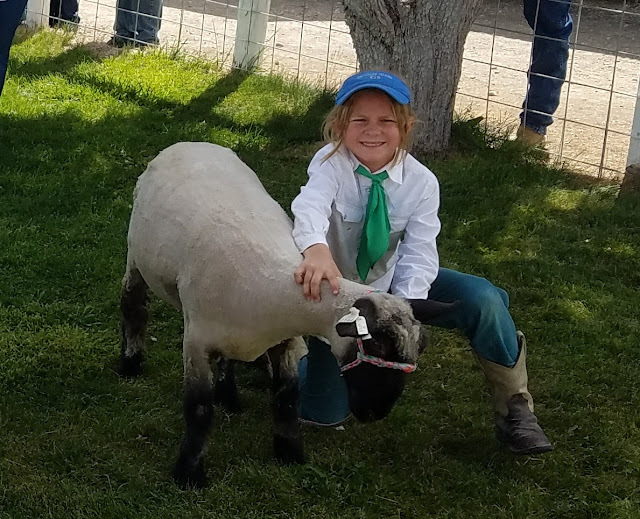 Desert Boy had a great smile on to show his sheep. Until it threw him to the ground. Sheep look friendly, but this one weighed about double his weight and was a bit feisty. It was a little extra excitement for the spectators. Thanks so much to Gary Perea and the Border Inn for buying Desert Boy's sheep. And thanks to Sahara Motors, Simplot, and Suburban Propane for the add-ons. The money Desert Boy raised will go into his college account. 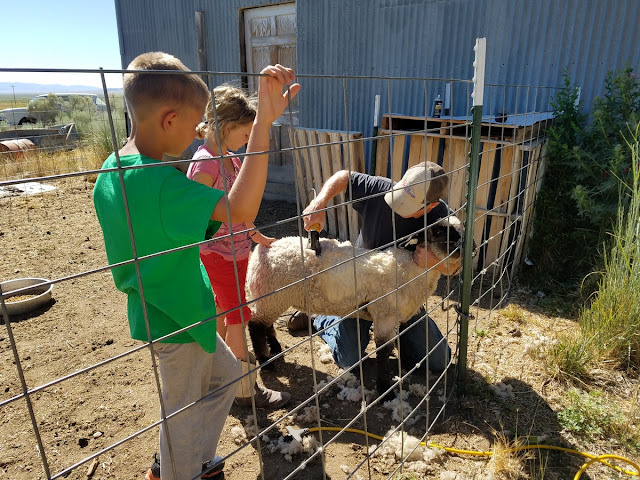 Later in the day, Desert Boy loaded his sheep onto the trailer to go to the butcher. He wasn't really sad this year because the lamb hadn't been particularly nice to him. 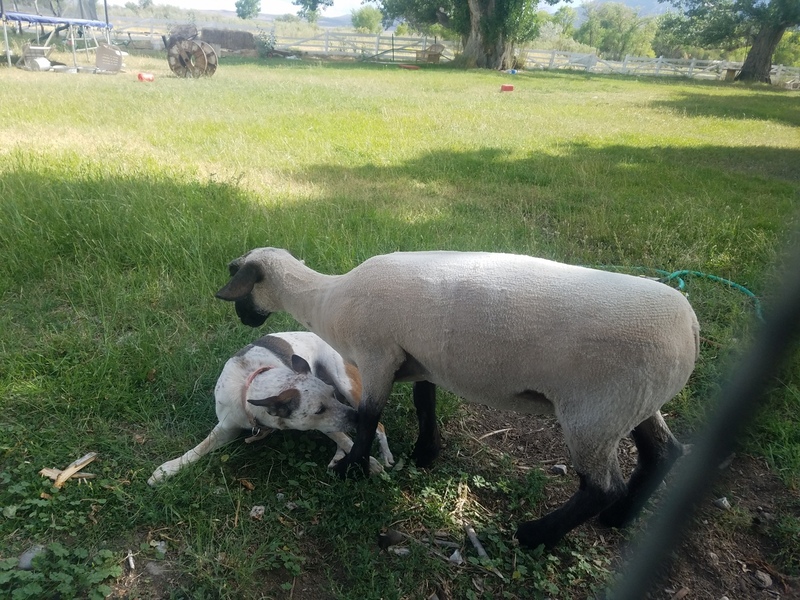 Desert Girl's lamb came home with us for a couple more weeks and hung out with the dog as much as she could. Then it was time for her to go to the butcher. 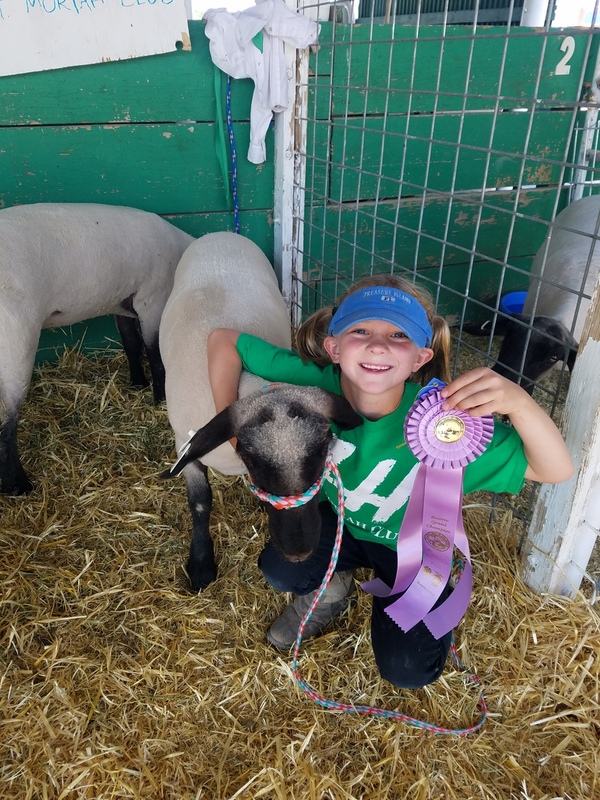 4-H has been a great way for the kids (and me) to learn more about raising market animals. 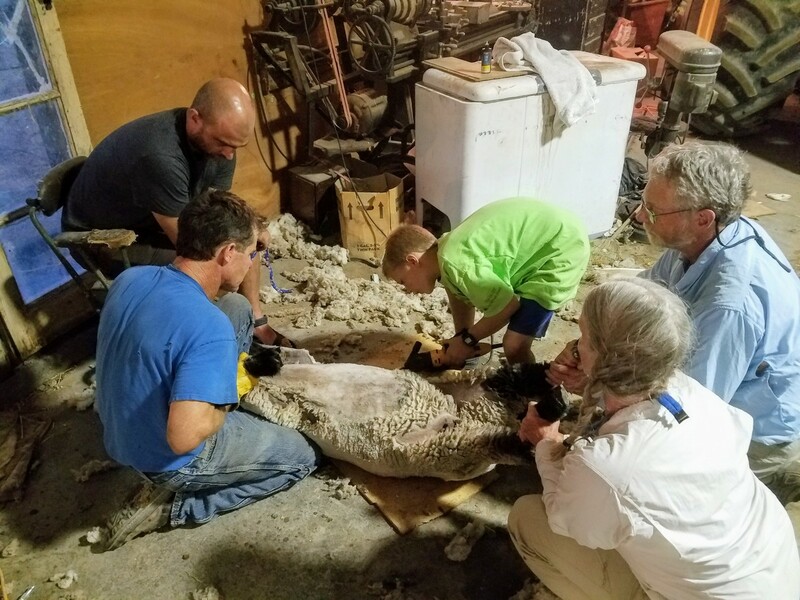 Some of it's easy, but there are definitely tricks to getting the best market animal out of the group. If you ever want to buy some great animals, I highly recommend going to a 4-H auction. Those animals are so well taken care of, and the money goes to individuals instead of big faceless corporations.